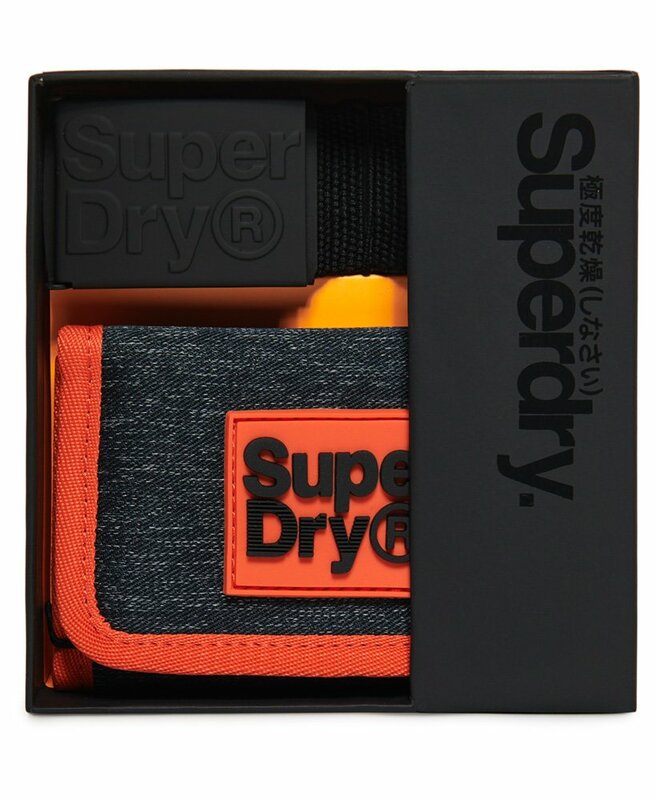 Superdry men’s Montana giftset. This wallet and belt duo is the perfect gift, whether you're keeping it for yourself or giving it to someone special. The belt included in this set is a simple adjustable fabric belt, which features a matte metal buckle with an embossed Superdry logo. The wallet features a hook and loop fastening, a note pocket and a zipped coin pocket. The wallet is finished with an attached keyring and a Superdry logo badge on the front.